Barrisol is proud to announce its victory at the Décibel d’Or for their two in one "acoustic lighting" system, which combines two stretched screens, including one micro-perforated screen, which allow walls and ceilings to be simultaneously acoustic and lit. With its 15x5m size, this work of art known as "Intrepid" was one of the largest pieces of work presented at the 3rd Fête des Lumières in Amsterdam. It was designed with Barrisol materials, notably Barrisol 3D forms and Barrisol Lumière. 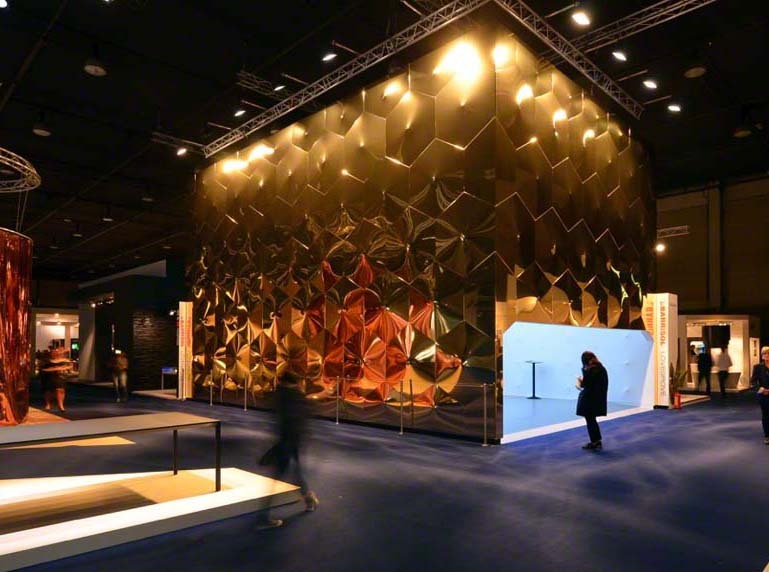 On the occasion of the 20th edition of 100% Design to be held in London from 17 to 20 September 2014, the number one of stretch ceiling will be present where designer and architects meet in a festive and fixed on the future. With the confidence of Jean-Marc Scherrer, NORMALU S.A.S's Chairman, who was willing to take up this challenge, the world's number one in stretch ceilings culminates at an altitude of 5,895m! Millions of television viewers watching the opening ceremony of the XXII Olympic Winter Games held in Sotchi on 7th February were able to admire the Barrisol® decoration. This decor was created using the Barrisol® Layers-technology. Barrisol® publishers were to be seen at the Maison & Objet Editeurs exhibition held in Paris Villepinte from the 24th to 28th January 2014. Many thanks to the many of you who visited us there.